Those of us title folk who lived through the bursting of the real estate bubble and the great recession may have flash backs when contemplating the kinds of things that can go wrong with foreclosure titles. With record high foreclosures came every kind of title problem, some of them so byzantine it literally took years to sort them out and get the titles into a posture so that the properties could again be transferred. How did the titles become such a mess? It could be argued that a toxic combination of transaction volume and human error was to blame for it. Before the economic downturn, we had a superheated market. Transactions were fast and furious and there just didn’t seem to be time to pay close attention to the details. Security Instruments—Deeds of Trust and Mortgages—were rife with errors of every kind. It was not uncommon for necessary parties to be missing, names and legal descriptions to be wrong, or just plain missing. Security instruments were recorded in the wrong jurisdiction and well, you name it, and it probably happened. Lenders and title agents were so focused on closing loans, they didn’t catch these issues. This set up a scenario for trouble when the bottom fell out. At that point, the lenders needed to try to enforce these defective instruments. Sometimes the mistakes would be caught, sometimes not. So where did we then find ourselves? Remember the toxic combo of volume and human error? Now we had a large number of imperfect documents flowing into an overwhelmed foreclosure process—a process that itself requires a high level of caution and attention to detail. Imperfect documents + record high numbers of foreclosure sales + overworked humans = BIG FAT MESS. After the foreclosure crisis, the title industry had two types of messes to clean up. First, we had to reckon with the bad security instruments and correct and reform them. Then, we had to contend with the foreclosure process errors. While it appears the majority of these deals have gone through the system and problems have been resolved, some of this clean up continues to this day. Are we, in Virginia, in any better position today? As you may have heard, Virginia is a non-judicial foreclosure state, meaning that the court does not have to be involved in approving the sale. Instead, lenders appoint a Trustee to institute foreclosure according to a detailed procedure outlined in the statute (VA Code 55-59). While non-judicial process is effective and can be efficient, the failure to adhere to any of the procedural steps in the process gives rise to concerns of unfairness and lack of due process. Without court involvement, mistakes in the process certainly make these sales subject to attack by the displaced borrower or any party that has an interest that they stand to lose. Identification and correction of issues pre-foreclosure is key to prevent the industry from heading back down that dark and dusty path we traveled a few years ago. The market should help us here. The sheer number of foreclosures has dropped precipitously. According to ATTOM Data Solutions, a multi-sourced property data base, the percentage of foreclosures across the country hit the lowest level since 2007. Virginia has followed this national downward trend, having its lowest percentage of foreclosures for almost ten years in 2017. Nationally, Virginia ranks 20th in foreclosures. Just based on volume alone, it seems that a more moderate foreclosure market should create an environment where more attention could be payed to each transaction to make sure preventable errors do not occur. It does also bear pointing out that, despite many attempts to challenge sales where procedural mistakes that were made, Virginia courts have shown restraint in invalidating sales on the basis of mere technical defects. Unless fraud, serious inequity or a true negative impact of the procedural defects on the sales price of the property were found, courts have been more likely to impose money damages than to upset the foreclosure sale. Better odds and some positive outcomes in court should not, however, lure us into a false sense that we need not carefully review the sales before insuring or closing foreclosures. There is plenty of mischief made by the mere allegation of issues with a sale. In addition, the cost of delay and certainly, of the defense of these actions is considerable–costing lenders and title insurers hundreds of thousands of dollars each year. Review of the foreclosure process and a careful analysis of the validity of the sale and the potential for litigation are all vital steps to avoid risk. So what goes wrong these days? The possible mistakes are so numerous that they cannot possibly be fully addressed here. However, an informal survey of underwriters and claims people revealed what are perhaps not very surprising trends in Foreclosure Fails. FAIL #1: A Messed Up Deed of Trust. The Deed of Trust is the foundation of the lenders’ right to foreclose on the borrower’s land if the loan is in default. If this document has problems, clearly, any future enforcement through foreclosure is likewise imperiled. The errors commonly encountered are not complex, rather they tend to be pretty basic. Deeds of Trust must have all vested parties shown in the granting clause. All of those parties have to sign and those signatures must be notarized. It should be obvious that if all the vested parties did not sign the Deed of Trust, the interest of missing parties cannot be foreclosed. For example, let’s say a property is owned by two individuals. They both applied for a mortgage loan, but the lender felt their application would be approved quicker and easier if only one of them applied due to some “flaw” in the credit or insufficient income of the other, so the application is revised and the title request sent by the lender only contains the name of one applicant. The title search shows two parties vested, but only the borrower shows up for settlement, signs the Deed of Trust and receives the proceeds. This is a problem. Even when only one party is the borrower, BOTH must execute the Deed of Trust because they both have a vested interest in the subject property. If this doesn’t happen, the lender will not be able to enforce their Deed of Trust in a later foreclosure and the missing parties will have to be tracked down to correct the document. It will come as no surprise that parties standing to lose their land to a foreclosure are not often inclined to be helpful! Too often, Deeds of Trust are missing parties or relevant information on the signing parties. The executing parties must also have authority to encumber real property. When a Deed of Trust is signed by power of attorney or by an individual on behalf of a corporation or LLC, they must have had the necessary authority to sign the Deed of Trust. When a foreclosure is looming, the argument that the signatory was not authorized is an all too convenient method to prevent the process from moving forward. Legal descriptions are another common area for error. They can be incorrect, missing portions, or just missing altogether. If this happens, the question becomes what, if anything, was conveyed? Recordation issues are another pitfall. If the Deed of Trust was not recorded in the right jurisdiction, it isn’t enforceable. All too often, instruments are not promptly recorded. These delays create gaps in which liens and other matters can be recorded and gain priority over the lien of the Deed of Trust. Priority is itself a major concern. Does the Deed of Trust being foreclosed have priority or is it potentially subordinate to other matters? If the Deed of Trust lacks priority, senior liens will not be wiped out at foreclosure and the sale will be subject to these items. Determining this necessitates a hard look at the land title. When all the items of record before the Deed of Trust to be foreclosed are not examined, problems have occurred. One nagging issue is the existence of a lien for junior financing that pre-dates the subject Deed of Trust. While Virginia allows the “auto subordination” of junior loans under VA Code Section 55-58.3, this law is technical and is often misapplied. If the subject Deed of Trust indicates reliance on this statute, a review to determine whether or not the junior lien truly fit the criteria for automatic subordination is prudent. If the “junior” lien did not qualify for auto subordination, what should have been the subordinate lien is not wiped out by the foreclosure and can enforce its rights as a prior lien. If it so happens that no one knows that the foreclosing Deed of Trust is actually subordinate to another lien, the purchaser at foreclosure will be taking title subject to that lien and may discover to their dismay that they themselves are on the brink of being foreclosed. It can even cause serious confusion with the Trustee as they may not be clear on where to apply the proceeds of sale. They may even believe that they have a surplus of funds that should be returned to the foreclosed borrower! Surely, these situations provide a very compelling argument for a full title search prior to foreclosure. Foreclosure has serious consequences on affected parties. Not only do borrowers stand to lose their real property, but any party with an interest in the land is at risk of losing it. It stands to reason that they all should be notified of the impending sale and be afforded the opportunity to take any steps at their disposal to preserve their rights and reduce their losses if at all possible. Virginia Code Section 55-59.1 sets forth very specific requirements for notices that must be sent prior to a foreclosure sale. The Code states that the Trustee or secured party must give notice to the borrower at their last known address. In addition, notice must be given to subordinate lienholders or their assignees who have liens recorded at least 30 days prior to the sale. Further, notice must also be given to condominium associations and homeowner’s associations that have recorded liens. Mailing notices that contain the time, date and place of the sale as well as information about the Trustee, no later than 14 days prior to the sale satisfies the Code’s requirements. While the Code Section goes on to say that the inadvertent failure to give notice as required “shall not impose liability on either the Trustee or the secured party”, it is still important to determine if the notice requirements were met. Why? Because when notice has not gone to the required parties in conformity with the statute, they often use this defect to attempt to challenge the sale in hopes that the fairness issue raised may provide the leverage needed to delay their loss of the property or provide them a way to recover damages. Title insurers have the claims and the defense costs to prove it. It is far better to identify this issue before the property is sold. In Virginia, a lender that owns the indebtedness can foreclose. But, it can be a real challenge to determine what lender might own the note and the Deed of Trust. The law does not require assignments be recorded in order to be effective. The lender doesn’t even have to present the note upon foreclosure. It can sign an affidavit that the note was lost or cannot otherwise be produced (VA Code Section 55-59.1B.) The borrower has the right to challenge this and seek adequate protection in court. Because, in recent years, loans were sold and resold and were turned over to servicers, it is often quite difficult to determine what entity really has the right to foreclose. It’s just not something that an examiner can provide from the public record. It is a worthwhile extra inquiry, however, because identifying problems along these lines prevents litigation later. Along with establishing that the right lender has ordered the foreclosure of their note, it is necessary to determine that the Trustee, the party that will actually sell the land, has the necessary authority to do so. It is typical for the Trustee named on the Deed of Trust initially to be substituted for a professional foreclosure Trustee by the execution and subsequent recordation of the Substitution of Trustee by the noteholder. Errors frequently occur during this step. When the Trustee begins to act, advertising the land, and scheduling the sale, this document has frequently not been executed and sometimes is forgotten altogether. The substitute Trustee does not have all the powers, rights, authority and duties vested in the Trustee in the original Deed of Trust until the Substitution of Trustee has been executed. 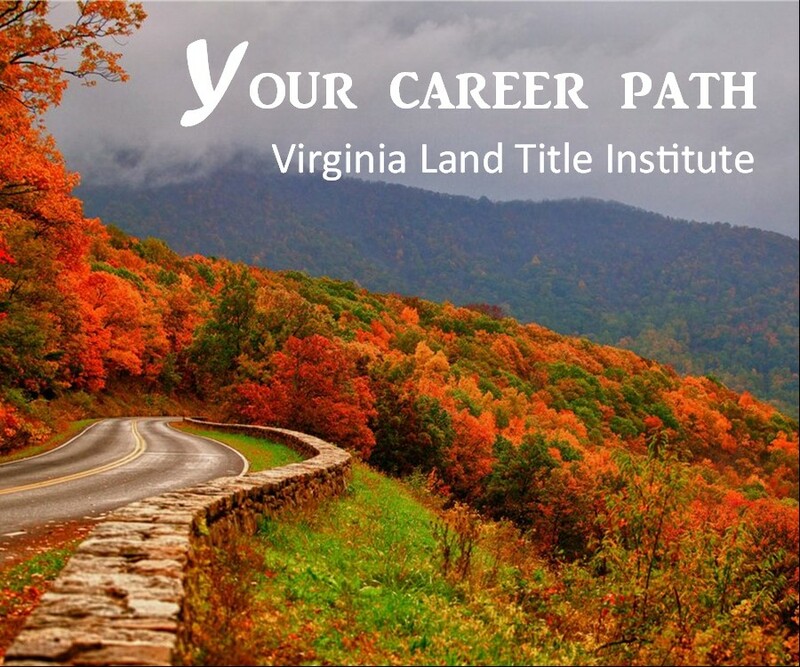 By Virginia statute, the Substitution of Trustee must be recorded before the Trustee’s Deed conveying the land to the successful bidder, but the borrower is divested of title at the sale. If the authority to act has not been conferred by the time the Trustee cries the sale, it gives rise to questions of their authority to have done so. If the borrower is in bankruptcy, the foreclosure process or any other type of transfer is impacted. When bankruptcy is filed, an automatic stay under 11 U.S.C. 362 is imposed. This creates a bankruptcy estate in which all of the borrower’s property is held. There can be no action against the borrower’s property during the stay and everything is frozen in place. A creditor must seek “relief from stay” in order to foreclose. If a foreclosure proceeds after the stay is imposed and without obtaining relief from stay, it is void. If bankruptcy was not detected prior to sale or it is not verified that the lender obtained an order lifting the stay, the entire sale and any subsequent transfer will be called into question. FAIL #5: The IRS is Not Notified of the Foreclosure. If the Internal Revenue Service has a recorded tax lien that is subordinate to the lien of the Deed of Trust to be foreclosed, the IRS has special rights. It has the right to prior notice of the foreclosure, and then, subsequent to the date of the sale, it has a right to redeem the land for a 120 day period. This is another area where mistakes are common. Occasionally, the notice to the IRS is not sent. If this happens, the 120 day period does not begin to run. If the sale goes forward, the IRS will have a continuing ability to redeem the land and, to make matters worse, according to at least one Federal Court, it cannot be rectified by a re-foreclosure conducted after proper notice. In addition, the notices provided are sometimes incomplete or contain errors, referencing only one tax lien when there are more, lacking names and addresses and the like. In these instances, the IRS may have a duty to notify parties of an incomplete notice within a five day time period and if they do not, the defective notice will be deemed to be sufficient. However, because the rule is fact intensive and it does not apply to every kind of notice defect, title underwriters and insurers will be reluctant to rely on it. When the property is marketed for resale, and an issue of a defective or missing notice is raised, it will certainly create a major problem. When a sale is otherwise proper, is it a problem when the borrower is still in residence? The answer is a resounding yes. This is a clear signal to would be purchasers and title insurers alike that the borrower is not prepared to give up quietly. The fact that they are still there gives rise to what is known as “litigation risk.” It may not be clear why the borrower believes that they have the right to possession, but typically, they believe the foreclosure was not justified and often, these borrowers challenge the sale when eviction is threatened. Title insurers will generally shy away from insuring foreclosure property that is still occupied because they have the duty to defend an insured under a title policy. This means that they will have to provide a legal defense to their insured owner and lender irrespective of the merits (or lack thereof) of the claims of the foreclosed borrower. Like so many other areas of the real estate industry, fraud has begun to appear in connection with foreclosure deals. The schemes are varied and tailored to the foreclosure process in the jurisdiction in which they take place. Criminals are very well informed about and exploit the foreclosure process. Vacant properties that are bank owned or held by holding companies give fraudsters an opportunity to forge assignments and deeds into themselves so they can sell or finance properties. If the chains of title and the documents in them are not viewed with a critical eye, title and settlement professionals can fall victim. If the conveyance seems to be unusual, perhaps following too quickly after foreclosure, if several documents use the same signatory or notary, the grantee is the signatory on the document, or even if no title insurance was involved, it bears the marks of foreclosure hijacking. You may have noticed that all of these “Fails” are avoidable. 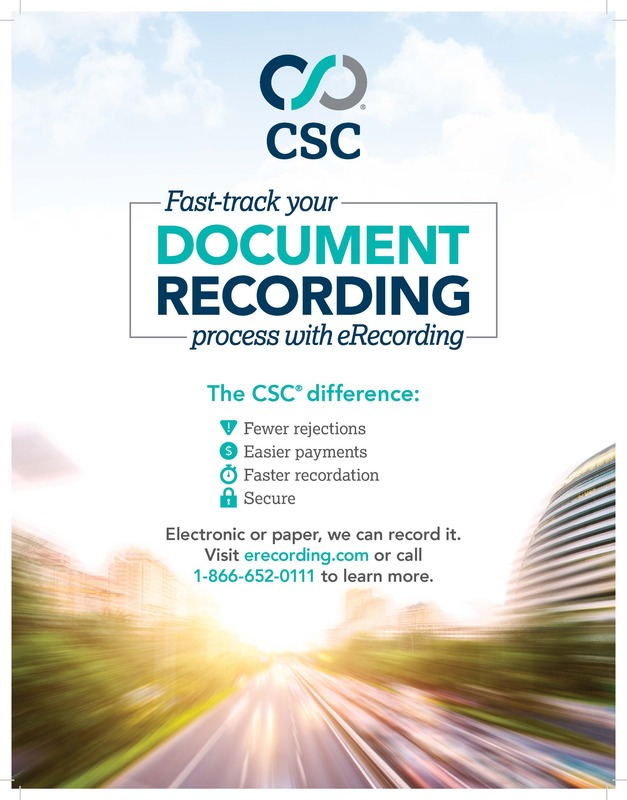 Unfortunately, shortcuts that are frequently taken make us vulnerable to these and other fails: Cash foreclosure purchasers don’t agree to obtain title searches; Documents in the chain of title are not read carefully by title practitioners; Trustees refuse to supply back up documentation for their foreclosures, offering trustee certificates instead. It is necessary to obtain and carefully review the title search and the steps taken to foreclose in order to failsafe foreclosure transactions. Many thanks to Alice McDonnell and Sandra Raynor for their invaluable assistance with editing this article. The New Digital Age – The VLTA Examiner Monthly is just a click away!